One of the things I am most excited about with fall approaching is the cooler weather so I can enjoy my outdoor patio again. I'm already planning on putting away the bright summer accessories and adding warmth with fall colors. Once the temperature drops and the mosquitos are gone I will be planting myself in front of the outdoor fireplace and TV with a wine glass in hand. 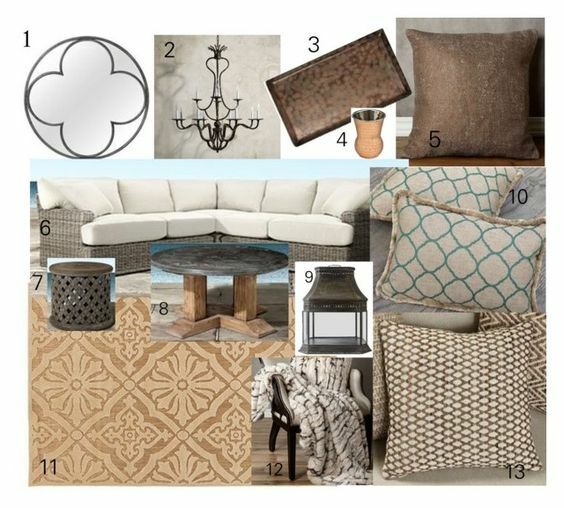 I created a fall outdoor living board using Arhaus furniture and accessories for inspiration. 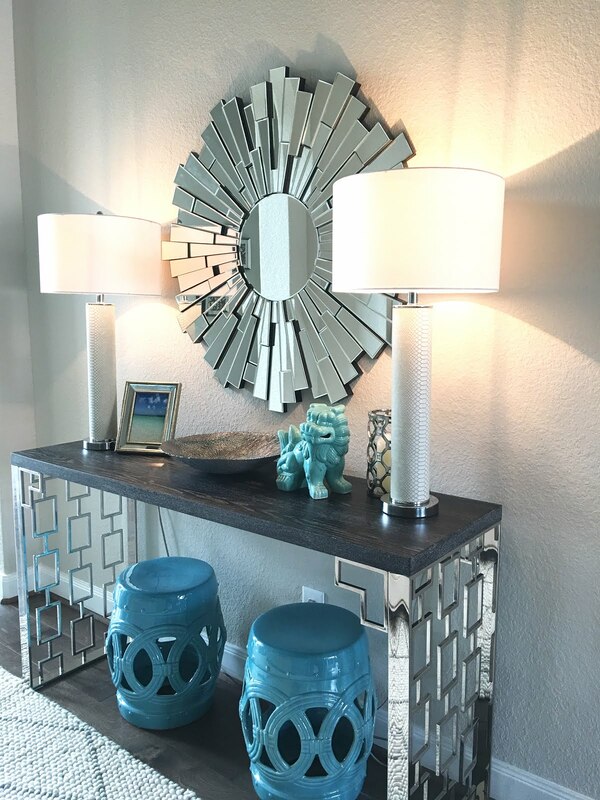 I love the warm copper, gray, and teal colors together. Typically, mirrors and chandeliers are considered indoor décor. That's why using them outdoors can make your patio feel like a cozy living room. Now who's ready for a Moscow mule? !